Tetra Pack has successfully completed the recording of the new album. Seven new compositions dedicated to some special cities and places have been born and grew since May and are recorded together with the old composition Ready to Go, after which the album will be named. Last week we had opportunity to try 7 new tunes which we are preparing for recording. They sounded solid and groovy and ready for some polishing time. Last concert of Tetra Pack was a perfect moment to present 5 new tunes and try arrangements. This concert was also special because we had a dearest guest from Belgrade on bass, Vlada Cukic. 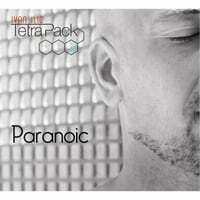 "Tetra Pack" is a band that plays original music by Ivan Ilic. Inspired by jazz, funk, rock and more, the music is full of rhythm. This quartet offers enjoyable instrumental virtuosity of its members and surprising arrangements, creating an original fusion. Balkanaizer is an international group that presents instrumental and vocal music of Macedonia. The band offers original arrangements of traditional songs touching different styles of music. 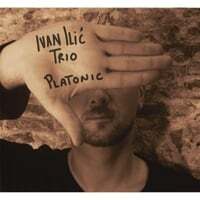 Ivan Ilic has 20 years of experience working as a music teacher. He is currently working in the guitar studio “Shine” in Barcelona. Copyright © Ivan Ilic. Some rights reserved.